Showing results by narrator "Clifton Chadwick"
A dimly lit coroner's inquest sets the scene for "The Damned Thing", which relates the strange and savage death of Hugh Morgan, a solitary man who found himself haunted - and eventually hunted - by an unseen creature stalking the untouched woods near a small, rural village. 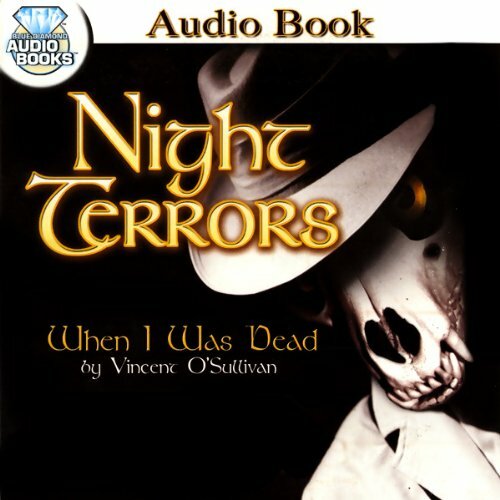 Night Terrors features two classic tales of terror. "When I Was Dead" is the story of an eccentric young man and his unwise attempts to conjure a ghostly apparition, and "The Facts in the Case of M. Valdemar" is Edgar Allan Poe's classic tale of a man who cheats death only to discover that there are far worse fates than the hereafter. Horror Classics presents two classic stories of the supernatural. "The Monkey's Paw" tells of an elderly couple who make a wish that they will eternally regret. "The Damned Thing" is the story of a coroner's inquest looking into the mysterious, savage death of Hugh Morgan. These chilling stories are sure to delight even the most discerning horror fan. Alistair, a wealthy eccentric, tests one of his strangest beliefs - he fancies that he can summon a ghostly apparition through sheer concentration. Soon, however, Alistair discovers the dangers of paranormal dalliance when he's trapped in an ethereal nightmare from which he can't escape.